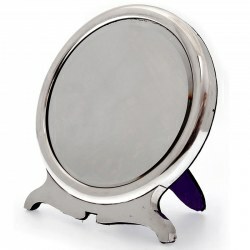 Table Mirrors There are 2 products. 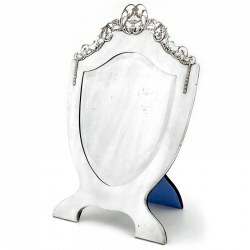 Stylish William Comyns easel back silver dressing table mirror with a circular plain silver border and two plain, shaped feet. Circa 1902.